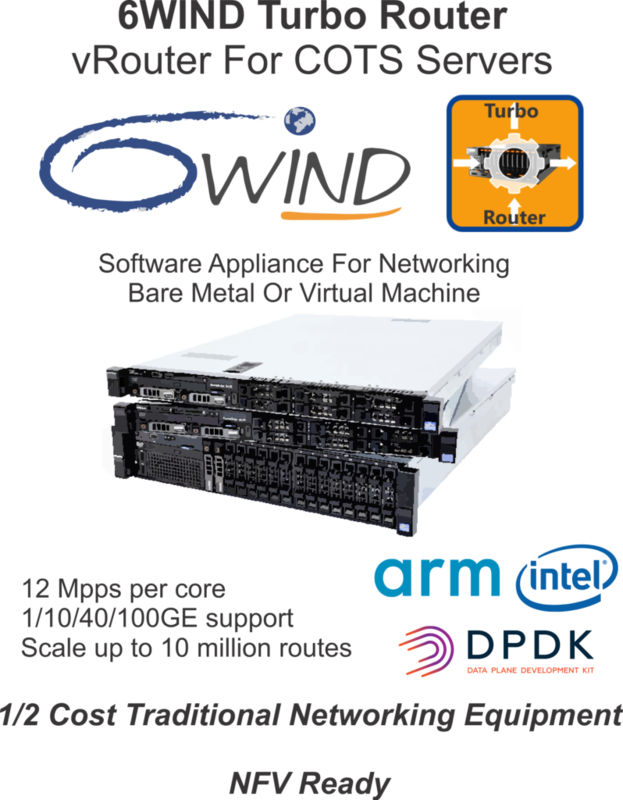 6WIND Turbo Router™ is a high performance, ready-to-use vRouter software network appliance, to be deployed in bare metal environments or as a virtual machine. With 12 million packets per second per core of IP forwarding performance, 6WIND Turbo Router provides the performance of hardware networking equipment with the ease of deployment and flexibility of software. Complete set of features including L2, encapsulations, IPv4 and IPv6 routing, virtual routing, firewall, NAT, QoS, High Availability and more.